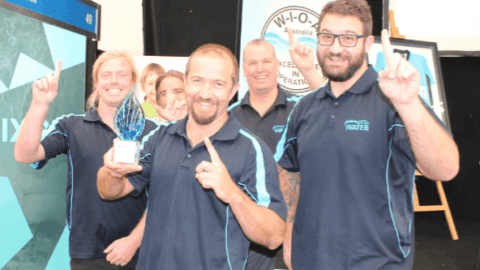 The PIA’s Australian Pump Technical Handbook is a cornerstone text for the Australian pump industry and, in our opinion, a must have for anyone who deals with pumps on a regular basis. In this ongoing series, we feature abridged chapters from the classic book to showcase the various areas covered and to reacquaint readers with the technical aspects of pumps. 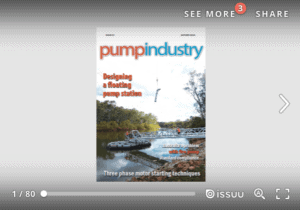 In this issue, we continue to look at selecting and applying different types of slurry pumps. Due to the diverse range of slurry applications, a large variety of metals and elastomers are available for slurry pump wetted parts. Proper material selection will depend on the properties of the slurry — erosive, corrosive or both — and on the basic pump design. Material selection can often be a compromise between erosion and corrosion resistance properties in order to achieve optimum wear life for any specific installation. Metals resist erosion through a combination of hardness and toughness, and resist corrosion by forming a passivated surface layer that protects against further corrosion. However, in slurry services, this passive layer is continually being worn away and exposing new metal surfaces. Elastomers resist erosion though resilience and tear resistance. They are soft, allowing solid particles to rebound without damaging the elastomer by abrasion or fracture. Large or sharp particles may tear the elastomer, so material selection should be carefully matched to the slurry. The basic chemical resistance of an elastomer will determine its performance in a corrosive environment. 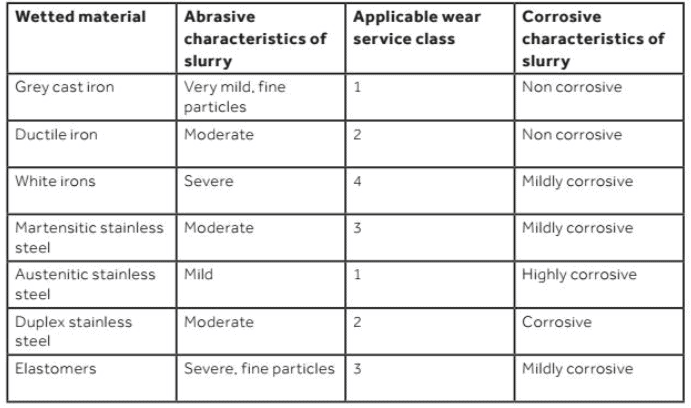 Figure 1 summarises the properties of various materials commonly used in slurry applications. Hard irons are used for the most erosive slurries, as well as those with weak acid or caustic carriers. These are classified as chromium-nickel (NiHard), chromium-molybdenum and high-chromium white irons. These irons can normally be used for slurries with pH values between 3.5 and 10.0, depending on the chloride level. At zero chlorides for example, a pH of 4.5 is satisfactory, whereas at 20,000 ppm chlorides the pH is limited to 6.5. Stainless steels should be used for more severe corrosive applications, however it should be noted that its erosive resistance is much lower than hard irons. Martensitic stainless steels are used for mildly corrosive applications as they are the most wear resistant type of stainless steel. On the other hand, austenitic stainless steels are used for highly corrosive applications, but are limited to very light slurry applications. Duplex stainless steels provide better corrosion resistance than martensitic steels and better erosion resistance than austenitic steels. They are used for light slurries with aggressive carrier liquids. The most commonly used polymer is natural rubber, which is usually defined by having a specific gravity of <1.0, hardness of approximately 40 Shore A, and very high resilience. The high resilience gives maximum abrasion resistance, providing the slurry particles are not too large (<6mm or 0.25”) or too sharp which causes excessive cutting and tearing. Natural rubber components are chemically resistant to most slurries that are mildly acidic or basic, and at temperatures less than about 80°C (180°F). The synthetic rubber polychloroprene (or neoprene) is used for increased heat resistance up to 100°C (212°F) and moderate oil resistance. It is not as abrasion resistant as natural rubber. Polyurethane is often used for fine-particle slurries as it is much harder than other elastomers with the same resilience, so increased impeller tip speeds are possible. Oil and solvent resistance is good. Care should be taken to select the proper type of urethane to prevent problems with hydrolysis in hot service (80°C or 180°F maximum). The type of seal fitted in a slurry pump is a very important design consideration as leakage of the process fluid is undesirable and can present a safety hazard. It is recommended that users consult with slurry pump suppliers to optimise the seal selection for the conditions of service likely to be encountered. 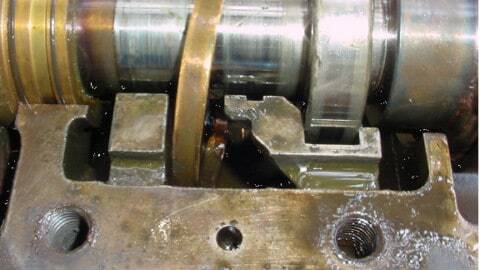 Three types of shaft seal are found in slurry pumps. The simplest, but most prone to leakage, is a gland seal with the packing rings running on a hard metal shaft sleeve that requires continuous flow of flushing water to minimise sleeve wear. Where seal leakage must be minimised (eg. with an acidic or caustic carrier fluid), a mechanical seal specially designed for slurry service may be used. Slurry mechanical seals generally require flushing and cooling, either with water or with a barrier fluid compatible with the process fluid. Mechanical seals are the only option for slurry pumps driven by submersible motors. Where it is not acceptable to add water to the process fluid through the shaft seal, a hydrodynamic or centrifugal seal (also called an expeller seal) can be run without flushing water. This comprises a small secondary impeller that reduces the pressure at the throat bush to atmospheric, and a packing ring or V-ring static seal to prevent leakage when the pump is stationary. A hydrodynamic seal absorbs about three to five per cent additional power. It is important to obtain full details of the slurry properties to make a prediction of wetted components wear life, and thus arrive at a proper pump selection. Considerations are the abrading mineral itself, abrasive hardness, particle velocity, density, sharpness, shape and size, and the temperature and chemical properties of the carrier fluid. 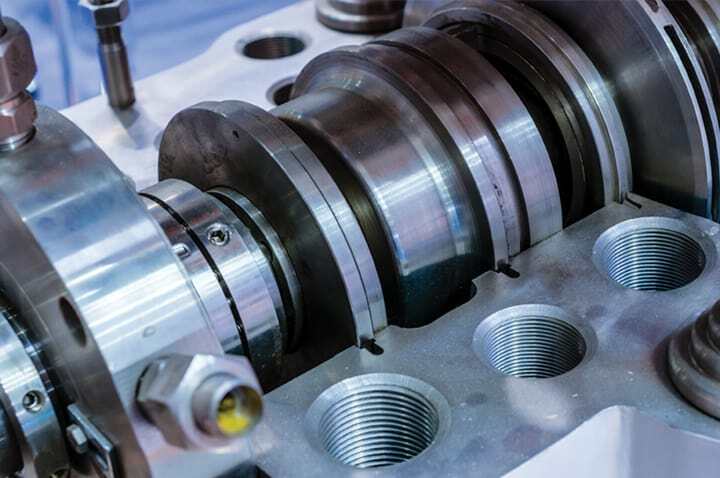 While metals can withstand higher temperatures than elastomers, the temperature limitation for a metal pump is likely to depend on non-metallic wetted materials such as seals and gaskets. The minimum information required on particle size of entrained solids is the d50 size, ie. the screen mesh size through which 50 per cent of particles will pass, and also the maximum particle size. 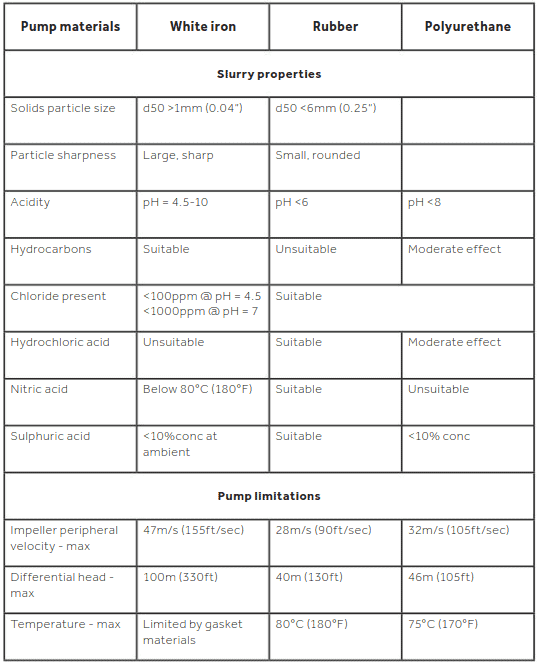 The basic pump wetted materials properties and selection criteria for various slurry properties are summarised in Figure 2. If a system design requires a slurry pump to deliver a greater dynamic head than the limits shown in Figure 2, or greater than the pump manufacturer’s performance limit, it may be necessary to install two or more pumps in a series. Pumps connected in series close to each other (ie. with minimal pipe friction loss between pumps), should have a casing pressure rating sufficient for the total pressure (ie. the sum of the suction pressure and the pump developed pressure), allowing a safety factor of at least 50 per cent to cope with momentary pressure spikes. A derating of pump total head is usually necessary because of the presence of solids in the slurry. Suction losses within the pump increase as the density of the slurry increases. 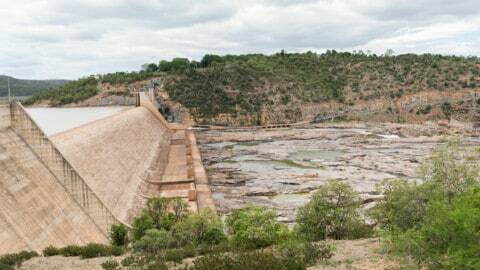 Additionally, slip occurs between the transporting fluid and the solid particles as the slurry passes through the pump impeller, which produces energy loss. Because of the variability of slurries, pump manufacturers provide curves showing performance when pumping clear water. To select the appropriate pump and motor combination using the manufacturer’s performance curve, the total head for slurry should be expressed in terms of equivalent water head. Formulae have been developed for calculating correction factors for head and efficiency based on solids particle size and slurry specific gravity. These correction factors are applied to transform the required slurry head (or efficiency) into equivalent water values. The slurry viscosity further affects the pump total head and the hydraulic efficiency. Viscosity effects should be considered when calculating the equivalent water duty for a slurry service. The pump absorbed power derived for water is multiplied by the slurry specific gravity to calculate the power required to pump the slurry. 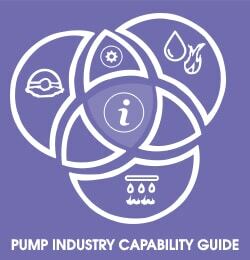 Further information and detailed diagrams, equations and schematics can be found in the Australian Pump Technical Handbook, available from the PIA website. In the next edition of Pump Industry, we continue our explorations into the selection and application of slurry pumps.